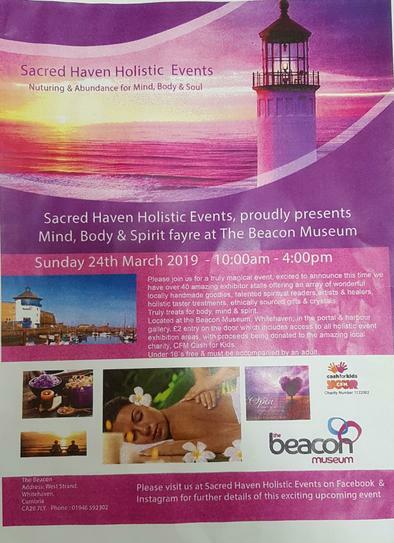 Why not treat your body, mind and soul by popping along to the Beacon, Whitehaven on Sunday 24th March 10:00 - 4:00pm and experience an array of holistic events. There will be various stalls, spiritual readers, healers and much more. £2.00 entry for adults, under 16's free but must be accompanied by an adult.